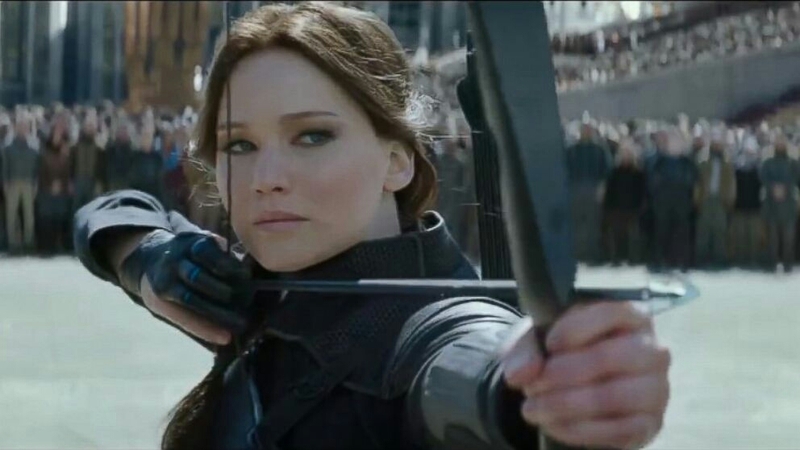 Cool New 'Hunger Games: Mockingjay Part 2' Banner Drops, Plus Trailer!! 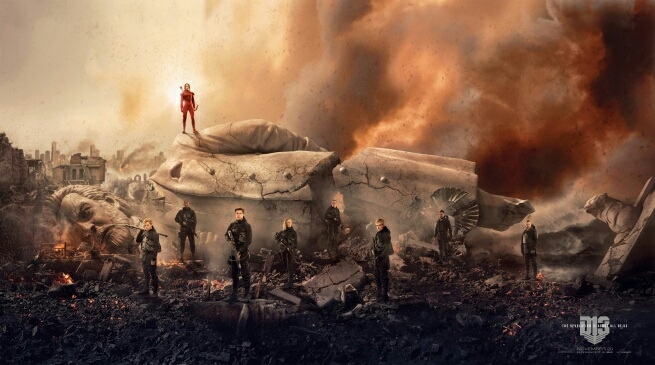 A new banner has dropped online for The Hunger Games: Mockingjay Part 2. 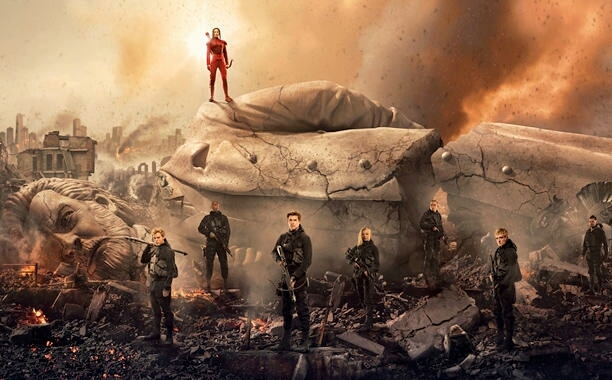 The artwork shows the red-suited Mockingjay, Katniss Everdeen (Jennifer Lawrence) standing atop a toppled statue of Panem’s totalitarian ruler, President Snow, as fellow rebels stand with her in the foreground.